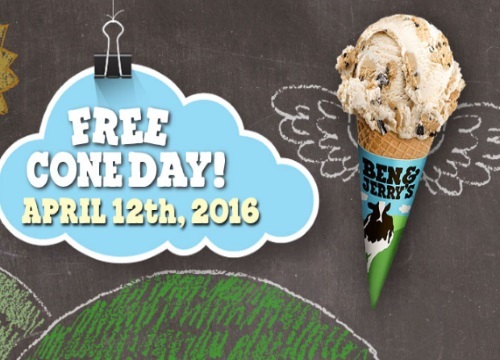 Ben & Jerry's Free Cone Day is back! Hopefully the weather gets better by then! For those of you in and around Toronto stop by Ryerson's University campus (corner of Gould and Victoria street) to get your Free Ice Cream cone from 11am-3pm. Offer is valid Tuesday, April 12 ,2016 only. While quantities last. Click on the link here to see where other Ben & Jerry's scoop shops are located near you.